The police officer who was gravely wounded by an ‘Islamist terrorist’ gunman has succumbed to his injuries, the Interior Minister said. 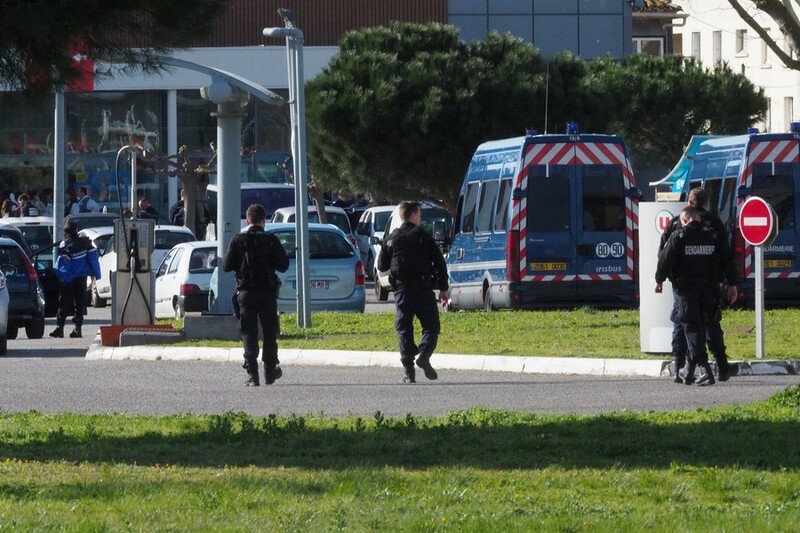 The officer had agreed to take hostages’ place in the supermarket siege in southern France. 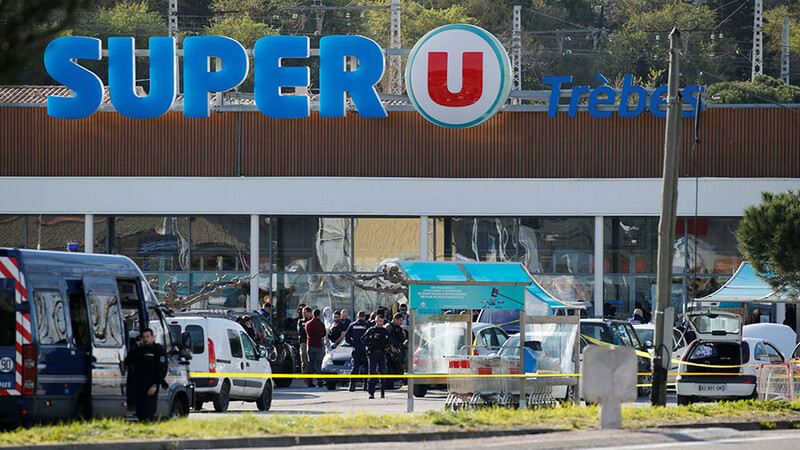 Lieutenant-Colonel Arnaud Beltrame was among the first responders at the hostage-taking scene at the ‘Super U’ supermarket in the town of Trebes on Friday. 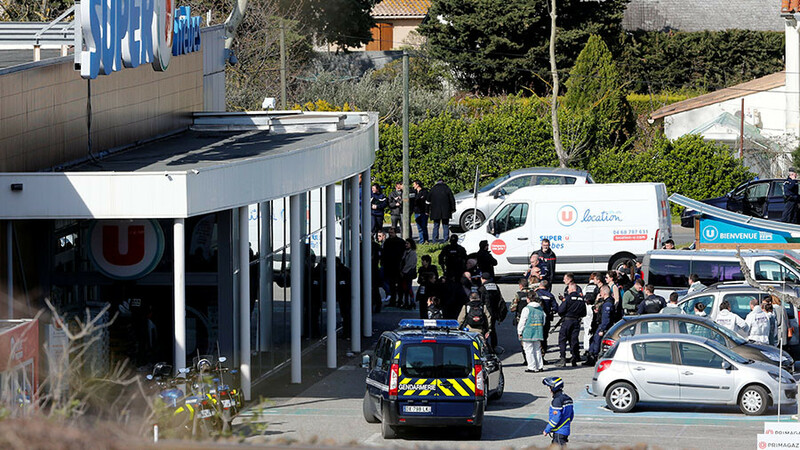 “He volunteered to take the place of the other hostages… He saved lives and honored his colleagues and his country,” President Emmanuel Macron said in a televised address. The 45-year-old officer sustained gunshot wounds before the intervention of the GIGN special forces, who neutralized the attacker. “Lieutenant-Colonel Arnaud Beltrame has left us. He died for his motherland. France will never forget his heroism, bravery and sacrifice,” Interior Minister Gerard Collomb wrote on Twitter. 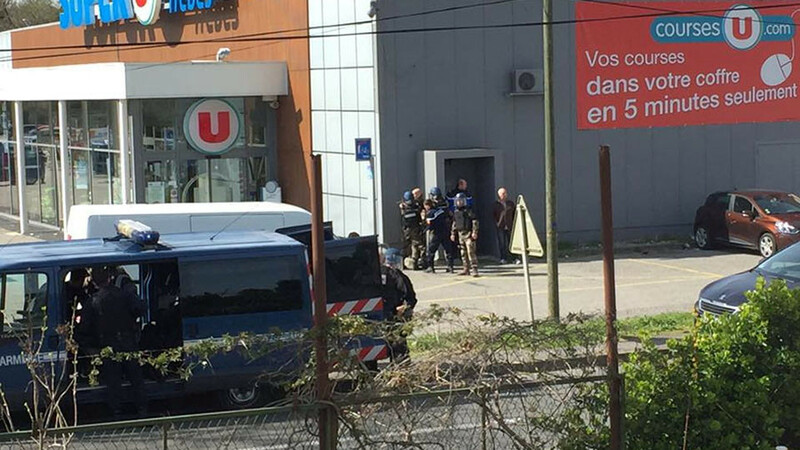 When the attacker opened fire and took hostages in the supermarket, Beltrame volunteered to take the place of the hostages. He was able to keep his cell phone switched on, and remained in contact with the security forces during the several-hour-long standoff. According to French media, in 2012 Beltrame was admitted to the National Order of the Legion of Honour, the highest order of merit for both military and civil deeds. Beltrame’s life became the fourth claimed by a lone gunman’s assault on Friday, which left over a dozen more injured. 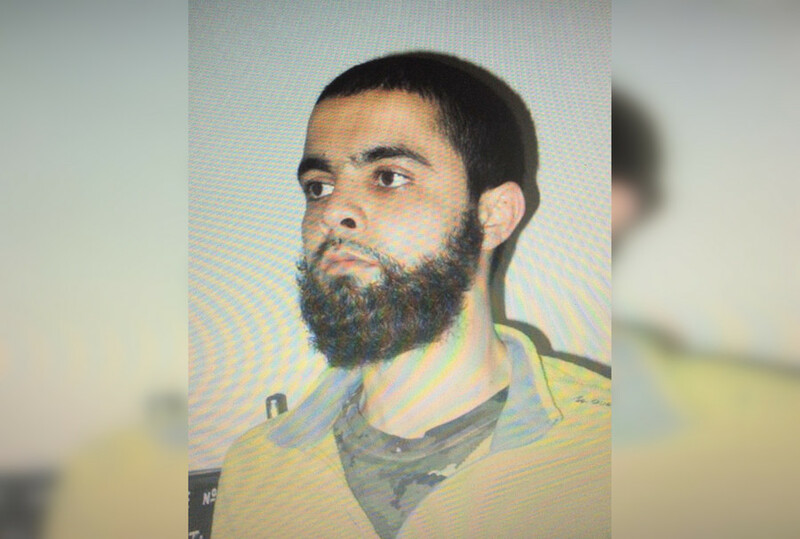 The attacker, 25-year-old Redouane Lakdim, reportedly pledged allegiance to Islamic state (IS, formerly ISIS) and shouted ‘Allahu Akbar’ when he stormed the supermarket. Macron dubbed the attack an act of “Islamic terrorism,” though he added that security services were still working to establish whether IS was really behind the attack. Since 2014, Lakdim had been monitored by the French security services because of his ties to radical Islam, the Paris prosecutor said. He was added to a list, known as “Fiche S,” of people considered a threat to national security who should be constantly watched.